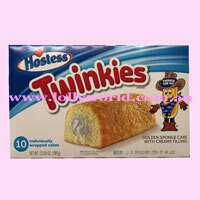 Hostess Twinkies the original Twinkies that will survive an apocalypse. This box contains 10 individually wrapped Twinkies. Soft golden spongecake with a creamy filling.